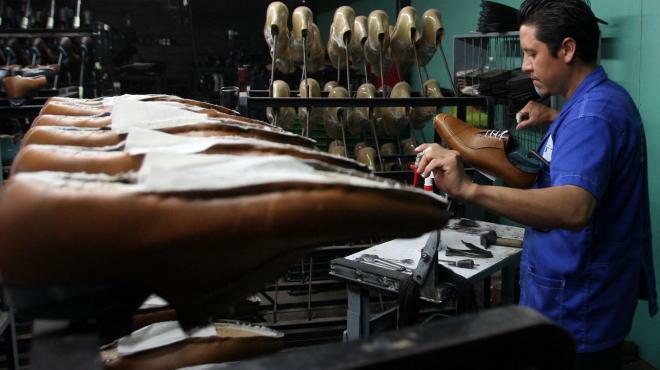 Guanajuato produces around 70% of the whole Mexican national production of footwear. During the 75th edition of SAPICA (Feria del Salón Internacional de la Piel y el Calzado), that took place in the past month of August, the head of the Ministry of Sustainable Economic Development (SDES –Secretaría de Desarrollo Económico Sustentable), Guillermo Romero Pacheco said the leather-footwear-supplier sector is one of the strongest and most representative of the state of Guanajuato, because in this state alone, 250 million pairs of footwear are elaborated per year. Romero Pacheco explained that the Guanajuato footwear industry exports to over 60 countries with the support of 13 international free trade agreements; and he added that Mexico manufactures and exports more than 100 different international brands of shoes. In 2015, exports in this sector in Guanajuato amounted a total of 27.4 million pairs of shoes, meaning 3.28% more than in 2014, worth 552.3 million USD. The United States is Guanajuato’s main export destination, with 76.17% of the global shoe exportation. Fair International Exhibition of Leather and Footwear (SAPICA), is the Exhibition of Footwear and Leather Goods where manufacturers and suppliers make the launch of the Spring – Summer – Autumn – Winter collections, for ladies, gentlemen, children, sports and western markets. The event is organized by the Chamber of the Footwear Industry of the State of Guanajuato (CICEG -Cámara de la Industria del Calzado del Estado de Guanajuato ) and is considered the most important shoe fair in Latin America and the second in the American continent. The fair took place last month in León, Guanajuato with an economic spill of 155 billion pesos.